Changing eating habits is a great way to lose weight. Just replace high calorie items with low calorie ones and over a period of time and you’ll lose unwanted pounds. It’s a simple concept, and one that has worked well for me over a period of time. In this post I’ll share some helpful tips to the procedure that you should know about that can help you find greater success over the long term. In its simplest form, weight loss is accomplished when we consume less calories than our body burns on a given day. The average man, at rest, burns about 2200 calories in 24 hours, the average woman burns around 2000. These BMI numbers vary by a person’s size and weight, but for this post I’ll use these basic averages. Once we know how many calories we burn at rest per day, we can do some simple math and figure out how many calories we need to restrict in order to lose a pound of weight. Dietitians tell us that we need to cut 3500 calories from our diet to lose one pound of weight. If we divide 3500 by 7 days, we find that to lose a pound per week we need a 500 calorie restriction per day. Simple numbers. So now we need to put on our detective hats and find the big calorie offenders. While it might be tempting to go after the obvious mega hamburger or french fries, by doing a little research we find there are some more innocent looking items that actually punch a huge wallop in our diets. Two common ones are salads and sugary drinks. Here are a few common examples. . .
As you can see, that innocent looking green mermaid at Starbucks is overloading us with fat and sugar in liquid form. The supposedly healthy salads are worse. Yikes! 1450 calories in a plate of greens. . . who knew? To create our new habit, it’s best to keep it simple and go after common items that you consume regularly. For our exercise today, I’m going to go after the Starbucks drink, since many people consume their beverages on a daily basis. Let’s take the Frappuccino above and replace it with a black coffee or green tea with zero calories. If this was a drink you consumed on a daily basis you would have a savings of (600 x 7 = 4200) a whopping 4200 calories in a week. By extrapolating this out over ten weeks, you would lose 11.6 pounds. Not bad for a drink replacement. However, you realize you don’t like black coffee or plain green tea and immediately go back to the sugary drink after a few days. Failure! Thankfully Starbucks comes to the rescue. They have a list of great drink replacements all under a 150 calories. Now you can have something delicious without the calories. Look at this list. . . Flat White 119, Cappuccino 91, Caffe Misto 63. Just subtract these numbers from the drink you were having and figure out the caloric savings. Most of these will save you a pound per week and taste good in the process. The secret to changing eating habits is to keep it up and make it a permanent habit. As I explained in a previous post, new research reveals that the average habit is formed in 66 days, not the 21 days that has been listed as gospel for so many years. This is where most people fail with this type of calorie substitution. You do it for a month and then the old ways take over. It’s just a matter of focus ( and some willpower) to keep this going for a longer period until it sticks. A resolution habit is simply a resolution (something you want to do or accomplish) that you achieve by changing an existing habit and doing it long enough that it sticks. In my life, I’ve done numerous eating habit swaps over the years with good results. Here are a few of the more successful ones. Each of these three was simple to accomplish and quickly became a new routine. 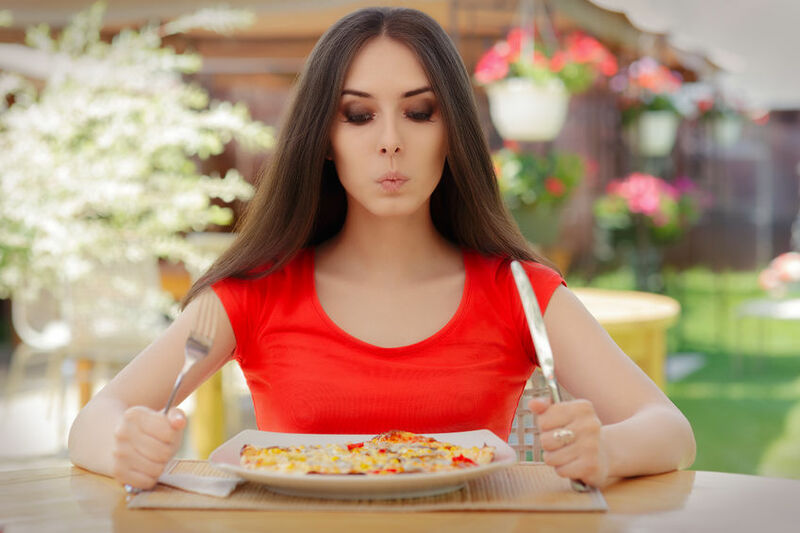 In my experience and in the latest habit research done by Phillippa Lally, a health psychology researcher at University College London, is that habit change is most successful if you follow these three tips. Charles Duhigg, in his book, The Power of Habit, states one amazing fact. 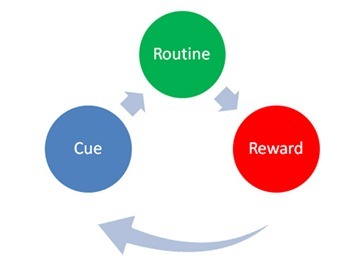 Almost any habit can be changed if the old cue and reward stay the same. This is really good news if you are struggling with your diet. It’s just a matter of fully researching your habit and making the necessary swap or replacement in the routine. You can learn the three parts of habit formation in this post, How to Change a Bad Habit to a Good One. Research your daily eating habits and find items that can be replaced with lower calorie ones. Do a calorie calculation for weight loss. Pick one to start and experiment with item substitution. If you find it enjoyable, make a focused commitment to make the change permanent. Track your success. You’ll find that changing eating habits is the fun and easy way to lose weight. What food items will you substitute?